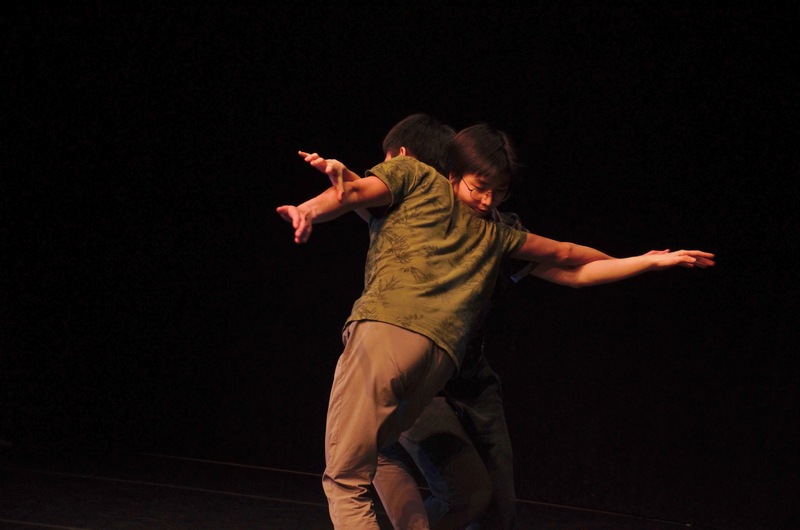 Last weekend, the spring thesis dance concert, titled “birthing the new (anew),” showcased the immense and diverse talents of senior dance majors Steven Fields, Arielle Schwartz, and Wan Tat Abraham Tse. 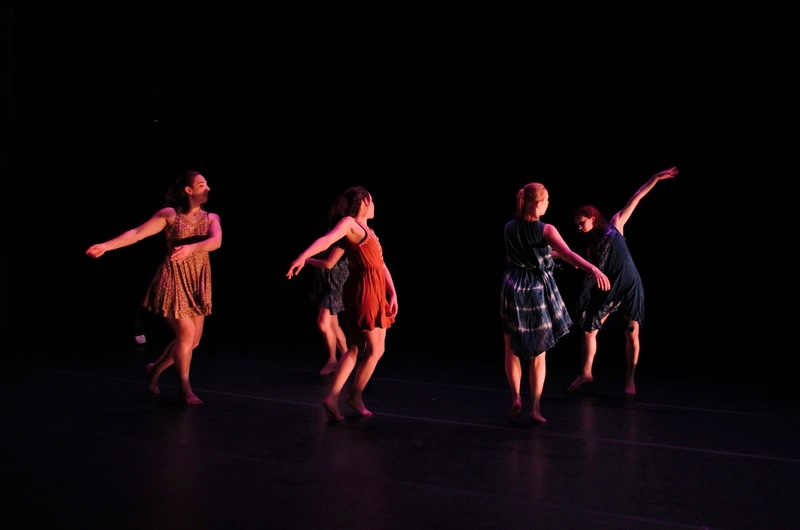 The first piece, “Alternatively,” choreographed by Fields with dancers Serena Aimen ’22, Emily Bloomfield ’22, Abhishek Fakiraswamimath ’20, Lilley Gallagher ’22, and Maren Westgard ’22, opened against a forest backdrop. Instead of music, a recorded voice narrated the familiar story of Hansel and Gretel as a trio of dancers playing Hansel, Gretel, and the witch followed along, acting out the story. 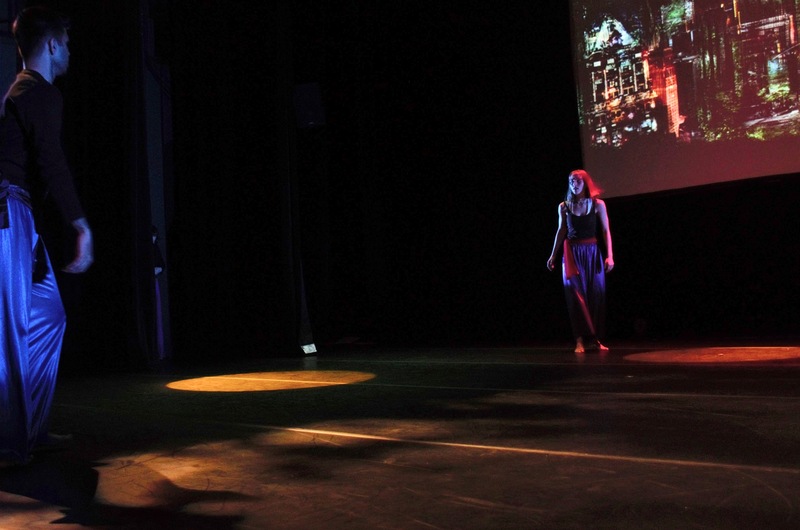 Instead of ending once the witch dies, however, the performance seemed to reset: Three new dancers replaced the first set and began to dance their way through the story as the narrator repeated the exact same set of events Fields had just described. This time however, the picture on the backdrop switched from a forest—the traditional setting of the fairytale—to a crowded nighttime cityscape, with traffic noises playing in the background. The story of Hansel and Gretel repeated four times in total, growing more abstract with each iteration. The forest and city backgrounds blended together, the dancers traded places (and eventually appeared all at the same time), and the narration grew more distorted until it was completely incomprehensible. As every element of the performance was slowly twisted beyond recognition, what started as a familiar, comfortable story turned into something confusing and new. Fields also explained his reasons for choosing to focus on the story of Hansel and Gretel in particular. The next piece, Tse’s “Bloom,” featured only two dancers, Tse and Rix Chan ’21, and creatively tackled themes of growth and destruction. The performance constantly switched between states; the soundtrack alternated between music and (slightly eerie) silence; the movements alternated between limited and expansive; the dancers’ interactions alternate between intimate and aggressive, even violent. As the pair traversed the stage, moving separately and then together and then separately again, their choreography did feel like something coming undone, and then being born anew. The final piece of the night, “Coming Home Again,” was created by Arielle Schwartz. Schwartz and her fellow dancers, Clara Nachmanoff ’21, Emma Powell, ’21 Emma Rose Ritter ’19, and Becca Weinzimer ’19, exited and re-entered the stage repeatedly over the course of the piece, and their dancing combined the movements of traditional Israeli folk dance with more fluid, contemporary choreography. “Coming Home Again” is the second of two pieces Schwartz has created as part of her thesis, and she spoke to The Argus about the first of these pieces, “Building Home,” last semester. 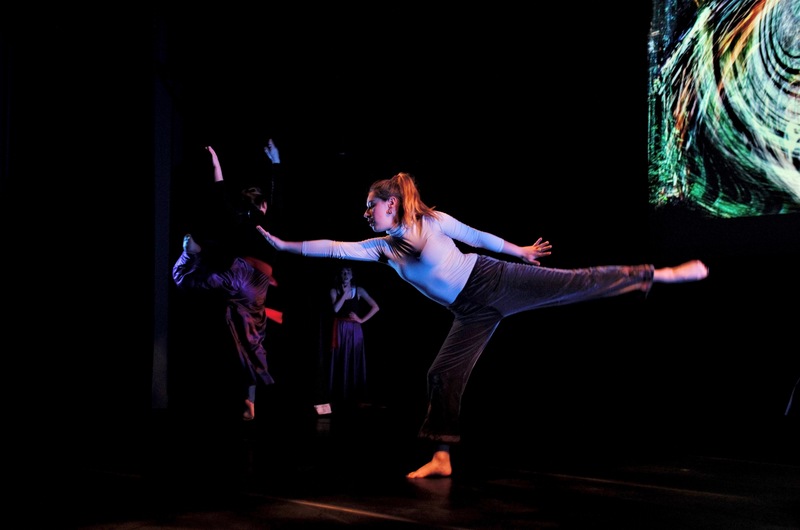 “Building Home” also utilized Israeli folk dance, and while the two performances are visibly different, they address connected themes of culture and community. Despite differing in mood, topic, music choice, and almost every other conceivable characteristic, Fields’, Tse’s, and Schwartz’s work showed a united commitment to experimentation and storytelling.